The Stamford Advocate decided to make Bat Mitzvah mischief making its front page story yesterday: Norwalk police clear bat mitzvah gone awry. Here's the follow up story just published: Norwalk mansion rental policy may change after out-of-control bat mitzvah. I commend TBE congregant Artie Selkowitz for questioning in a letter to the editor today, Where's the coverage of good news? Also see TBE congregant Lynn Villency Cohen's letter. This is not to excuse any vandalism or inappropriate sexual behavior that may have gone on. These issues are long-term, not just for bar mitzvah parties, but for all teen activities. The things I hear about the way people "grind" at proms, for instance, are equally troubling, as is the general culture of "hooking up" that has become so prevalent. These might be fodder for a general article about the lack of modesty and respect for other human beings and property that are so noticeable in the behavior of some teens (and adults too). But front page news? C'mon! I've been the first to critique excesses at these events (seeBar Mitzvahs Play Better Off Broadway (Jewish Week, 12/19/08) and Have We Gone Overboard? )but specifically to tie this type of misbehavior into Bar Mitzvah is equivalent to saying that because there was rioting in L.A. following the Lakers' championship the other day, the NBA somehow is evil and corrupt. I won't raise the banner of anti-Semitism, but why focus on a party that happens to occur after a particular religious event as opposed to any other teen party where similar (or worse) things might happen? I'm not blind to the fact that our own students are capable of this kind of thing (though no TBE kids were mentioned in the article), but I've noticed a distinctly positive trend in the way families approach this event over recent years, and in particular this year. The over-the-top parties have fallen victim to the bad economy (even those who have the money see it as being in bad taste) in favor of more spiritual values. Our kids understand that as well. I've seen far less "bar" as the saying goes, and much more "mitzvah." You might just be the best Jewish female gymnast since Kerri Strug. Kerri helped the US team win gold at the Athens Olympics about one month after you were born. It all came down to one jump. And who takes it? Kerri, the indomitable Jewish girl from Arizona. But her ankle is injured. Should she jump? Should she risk possible permanent injury for the sake of her team, her country? When I first read the news story that Kerri was Jewish, I laughed until I cried. It described how the rabbi of Kerri's synagogue led the congregation in a special healing prayer for her following her epic/tragic leap. Her rabbi commented to the reporter, "As an American and as a Jew, I was proud." It turns out the Strugs had been members of the congregation since 1988. 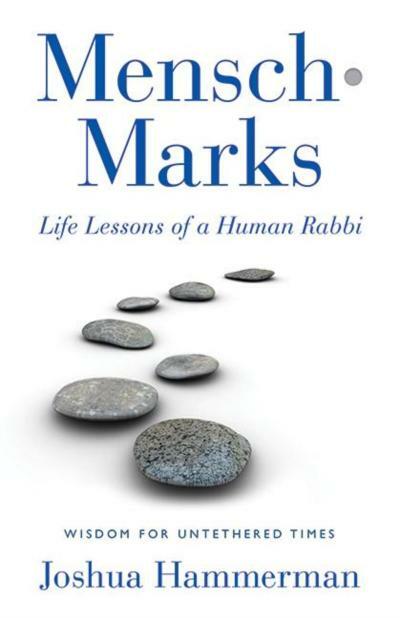 It turns out the rabbi had never met Kerri Strug.The story concluded, "Strug's mother said her daughter did not attend the synagogue's religious school or become bat mitzvah there because she was too busy." OK – so what is the true measure of courage? Right here! It’s being able to do all those flips on the balance beam and THEN chanting a mean haftarah. No, not mean… there isn’t anything mean about you, Amber. In an NBC soap-essay called "The Kerri Strug Story," the Strugs admitted that they often close their eyes when their daughter performs. They cannot bear to see what might happen, yet they've never tried to stop her, even when she once suffered a nearly catastrophic injury. They have placed their child in a position of maximal risk and closed their eyes to the responsibility. Had Kerri become bat mitzvah, I believe her folks would have found it an eye-opening experience.On this pulpit, we see Olympian drama almost every week, as newly-crowned adolescents ascend spiritual peaks to do battle with their own limitations, the world's expectations and their swiftly developing sense of self; and they emerge not maimed but triumphant. It is a triumph that endures not for four years but for a lifetime. It is a personal best that doesn't place the victor on a winner's pedestal, but shoulder to shoulder with a hundred generations. You said in your booklet that if gymnastics were easy it would be called football. Yes, but if being a Jew were easy it would be called gymnastics! Have the courage to be a Jew – face each day like those people in Sderot. And we will all be there to cheer you on to the medal stand. There are lots of things wrong with our culture Bar Mitzvahs are not among them. TBE member and Advocate columnist Malerie Yolen Cohen, incensed over the Advocate lead story, gave me permission to include this e-mail that she wrote yesterday to the Advocate's op-ed editor. I'm writing to you today not as a (former) columnist, but as a reader of the Stamford Advocate to protest the lead story in today's paper (Tues. June 16th). 6. If editors wanted to go with it, this story should have been a small item buried on page 4. John, you know me and my writing. Over the years, I've celebrated the wonderful diversity in our community and general respect that religious groups here show to each other. So to see this piece, which clearly identifies a "Jewish coming of age" ceremony as impetus for debauchery and destruction, greatly concerns me especially in light of what happened at the Holocaust Museum last week. It just gives nut jobs with guns an excuse to go Jew hunting. A much better lead story would have been the one on page 3 about the Avon Theater; a success story, a Stamford institution and an uplifting UNIFYING feature!